This is one of my summer highlights! 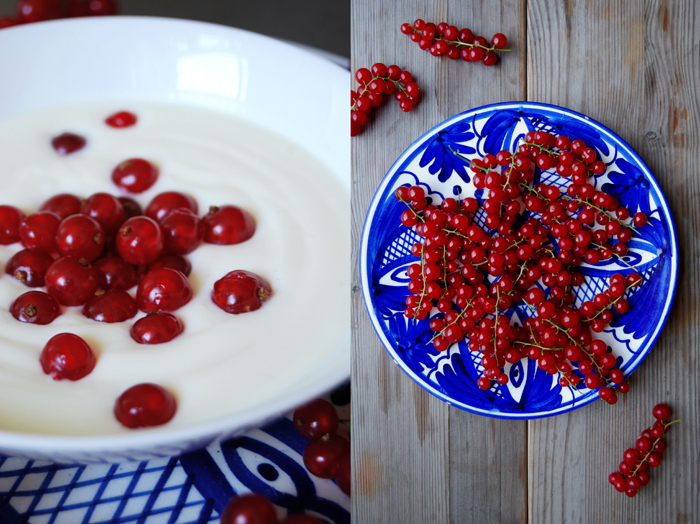 Only five ingredients create this seasonal feast, red currants, yoghurt, whipped cream, cardamom and sugar. 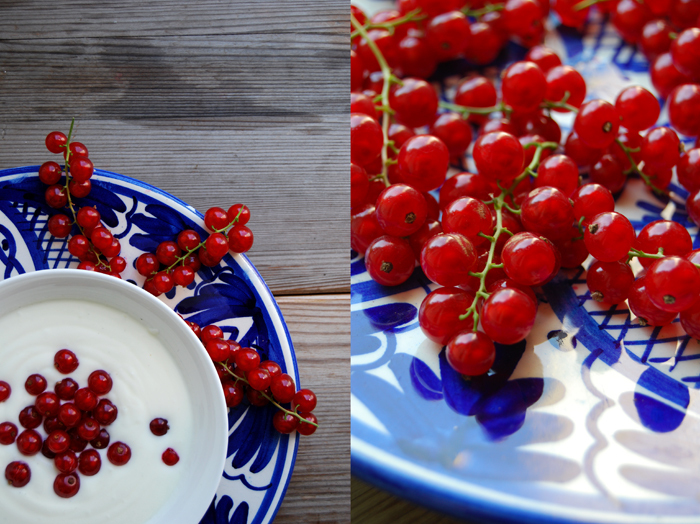 As soon as I spot the little red berries at the markets nothing can stop me from buying them, weekly! Their firm skin holds all the juices together that spread with the first bite and you never know if it will be more on the sweet or the sour side depending on each berry’s ripeness. I like to mix them with a very creamy yoghurt flavoured with cardamom and a little sugar. 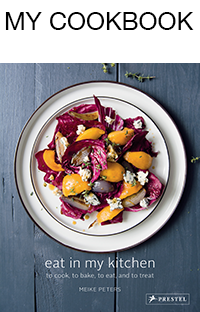 The smooth milkiness balances out the tart fruit without taking any of its qualities away. Instead of just buying a rich yoghurt I like to mix the normal one with with sweetened heavy cream whipped with cardamom. It creates a thick and fluffy texture – it tastes divine! 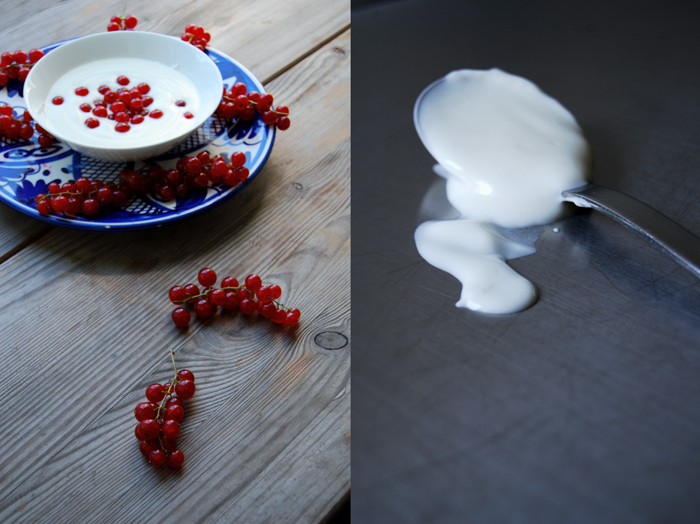 When I prepared my fruits and cream, a friend from Canada popped into my kitchen spontaneously. As soon as she saw the glowing red of the berries her attention moved away from me to the fruit. 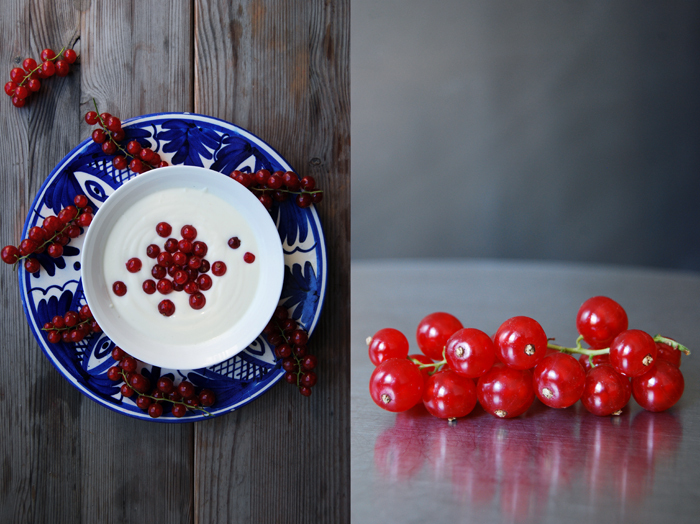 Feasts are there to share, so I handed her a bowl of my creamy yoghurt topped with red currants, she looked as happy as a child in a candy store! Whip the cream together with the sugar and cardamom till thick and fluffy. Gently fold into the yoghurt and season to taste. 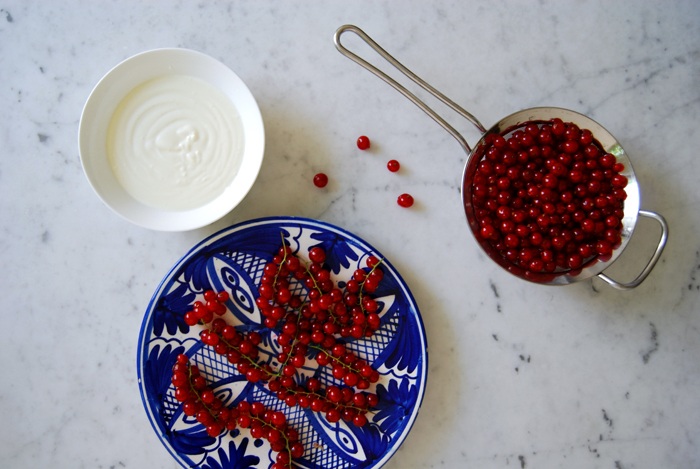 Serve the berries on top of the yoghurt.